News | Bartok design Co. News – Page 3 – Bartok design Co. This card consists almost entirely from material I received from a client I consider like a dear friend. I especially like the phrase that life is precious and every moment should be lived “consciously”. The more “deliberately” you experience and feel these moments the more fully (= happily) you will enjoy this year and the years to come! 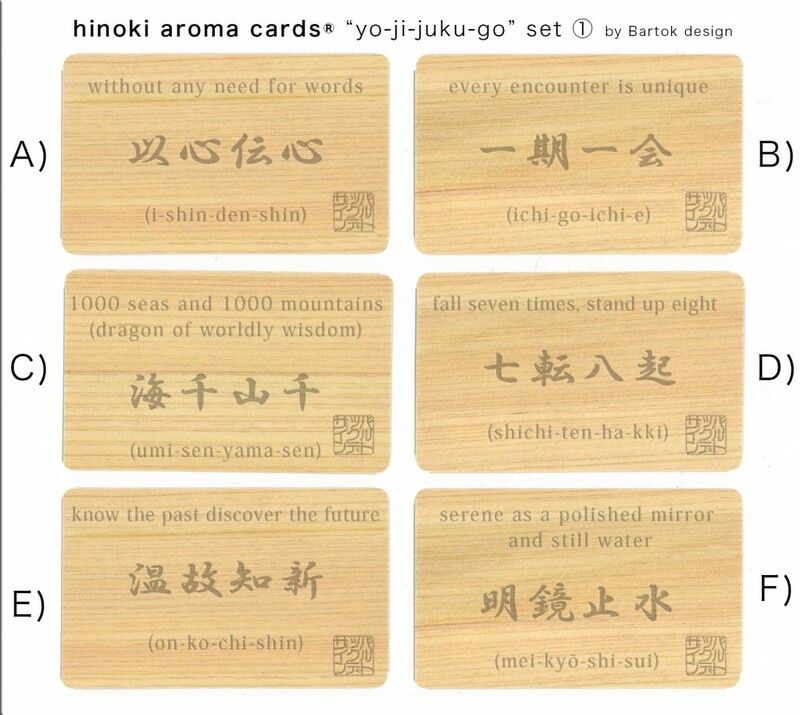 Of course you can find the two quotations in form of hinoki wood aroma cards. Again, happy new year and may the 2017 bring you one step closer to the realization of your dreams! Our client R. sent us more pictures of his superb house in Apollo Bay, Victoria. Apparently it is available as a kind of Air B&B so if you are in the area you may want to experience the house with great open views and the japanese bathtub! final version for the aroma cards! With the help of many advice and insight I received thru friends and comments by mail and thru the google survey I think our aroma cards took the right shape! This super-seeds the previous posts. 3) 2 sets are available. It is also possible to have 6 cards with the same message. Let me know. This is it for now! Please go to the indiegogo page to understand about the development of the idea and this campaign! Well, I think this does not need may explanations. I tried to make a simulation with the yojijukugo idea and I love it! I am now considering to prepare 3 sets of aroma cards with mixed messages. Of course it is possible to get the 3 sets and assort the full collection. I do not want to make more than 12 because of the costs of productions. But please let me know if there are some you like or some you do not so I might replace them. 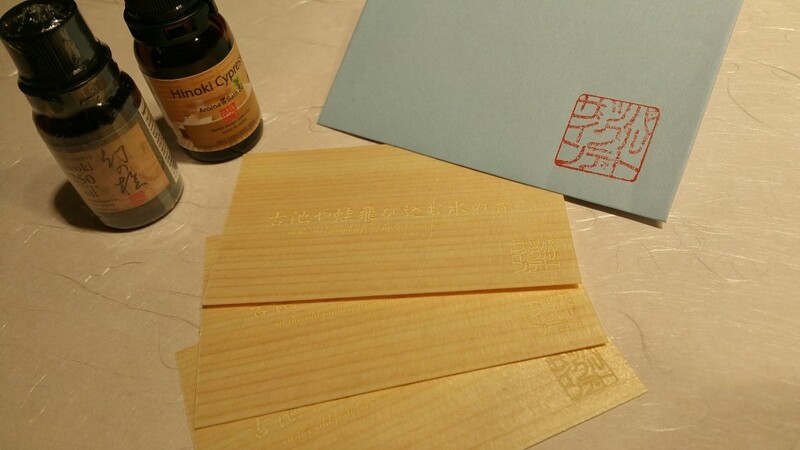 ★Idea of usage: use your aroma card as a bookmark! it is longlasting, pleasant to touch and fragrant. Can you find a better reading companion? I added them at the survey about the aroma cards campaign. Please let me know your opinion. I only have 16 days left for the campaign! Here is an update about the indiegogo campaign. First of all, with 5 days of delay after the beginning of the campaign I finally managed to put together the video! During the interviews many people mentioned the yo-ji-juku-go (four character idionatic expressions). I think this actually matches perfectly the concept of the product. I was considering using some haiku poems (for the “extreme” japan-lovers) and some motivational quotes (for the more pragmatic ones) but the idea of using the yo-ji-juku-go puts the two concepts together! Idiomatic expressions are like proverbs but have the peculiarity of consisting on 4 ideograms. No verbs, no conjunctive particles or hiragana characters. Just 4 concepts or qualities that also create a peculiar sound combination. At first the meaning may not be immediate, but once you know the meaning, the idiomatic expressions have a particularly dense meaning and convey the concept powerfully, in full color. 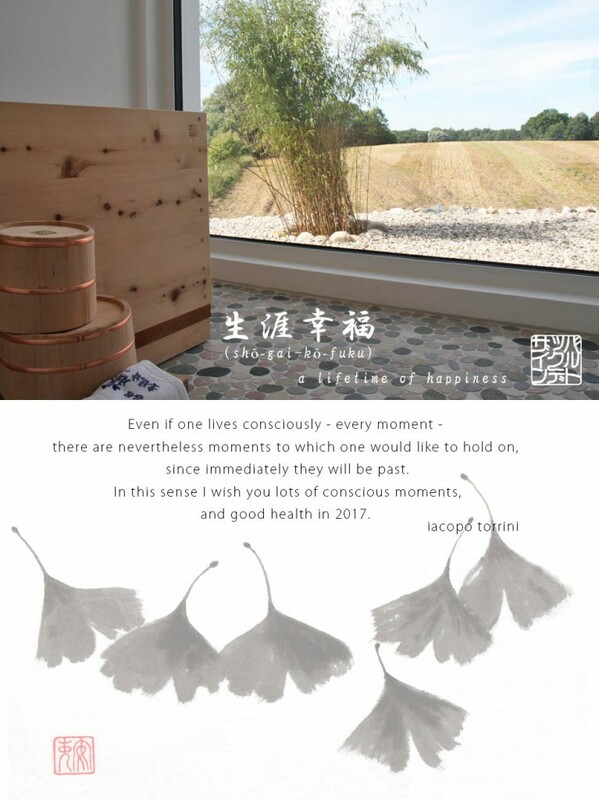 Everybody has their own “favorite yo-ji-juku-go”, like a personal mantra or policy that you can say in your mind to receive that relaxing caress or courage boost you need in your everyday life. There are many yo-ji-juku-go. I’ve found counts ranging from 5,000 to over 20,000. Wikipedia page about yu-ji-juku-go links to a database of 3,400 of them while Japanese students learn at school some 400-500 fundamental idiomatic expressions. I will pick up some I like. Feel free to comment if you have more to share! So, which is the one you like? 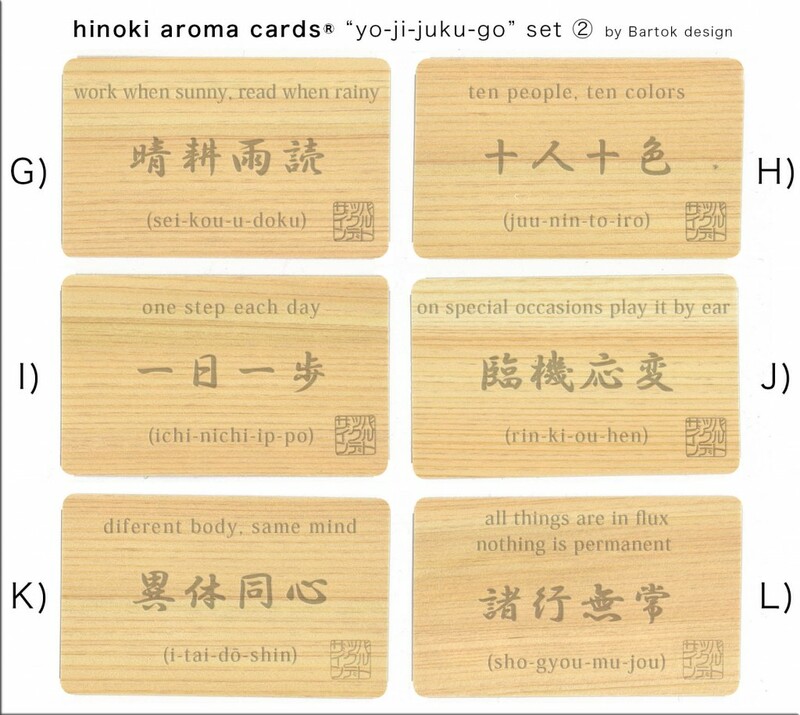 I am going to create a new product thru a crowd funding campaign on indiegogo: hinoki aroma cards. 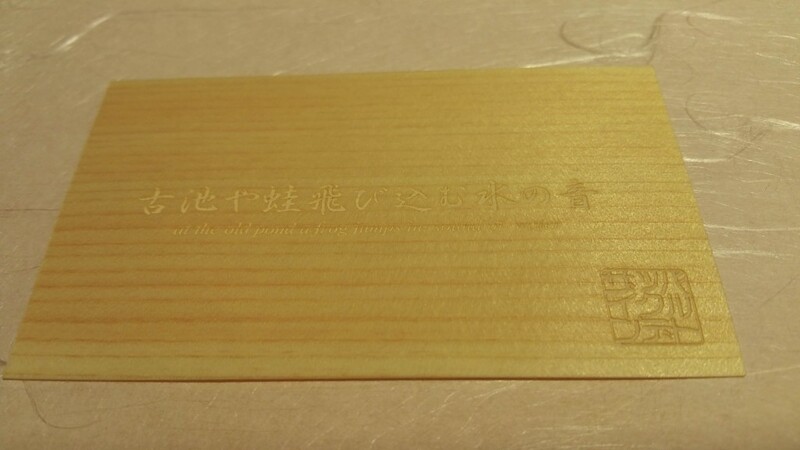 Please let me know your opinion about the product currently under development: the “hinoki aroma cards”. 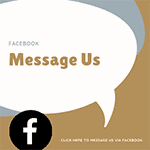 I am interested in hearing which message would be meaningful for you. If it is a great one, you will be able to choose it once the product is developed in february 2017! Please particiapate to the survey below. 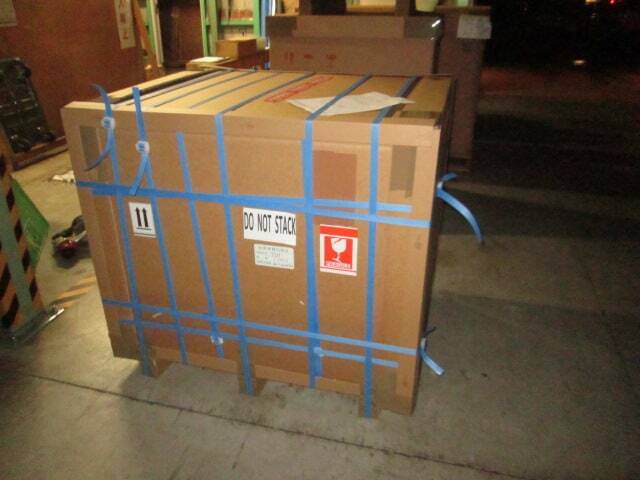 We are receiving many orders of kadomaru tubs. Maybe because of the following amazing salespoints? 3) it requires only 1 week from order to shipping: sorry, we require 2-3 weeks but will try to contain the delay as much as possible. 4) allows savings on packaging and transportation: same price but better packaging! 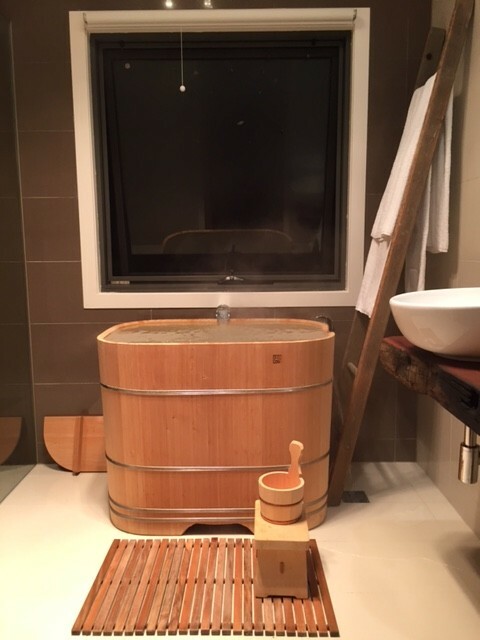 Remember also that you can order a kadomaru tub directly from the shop (note that there are 2 sizes: S and L). Contact us by email or thru the contact form if you need any customization/options. After 14 years of paying the transportation insurance without need to use it we had our first accident. Of course I am deeply sorry with the client but I confirm that we were able to replace the tub with a pristine one. Actually we had in the past 2 damage reports about bathroom accessories arriving in smashed cardboard boxes (both in the USA with air mail…) but never experienced a damage to a tub. 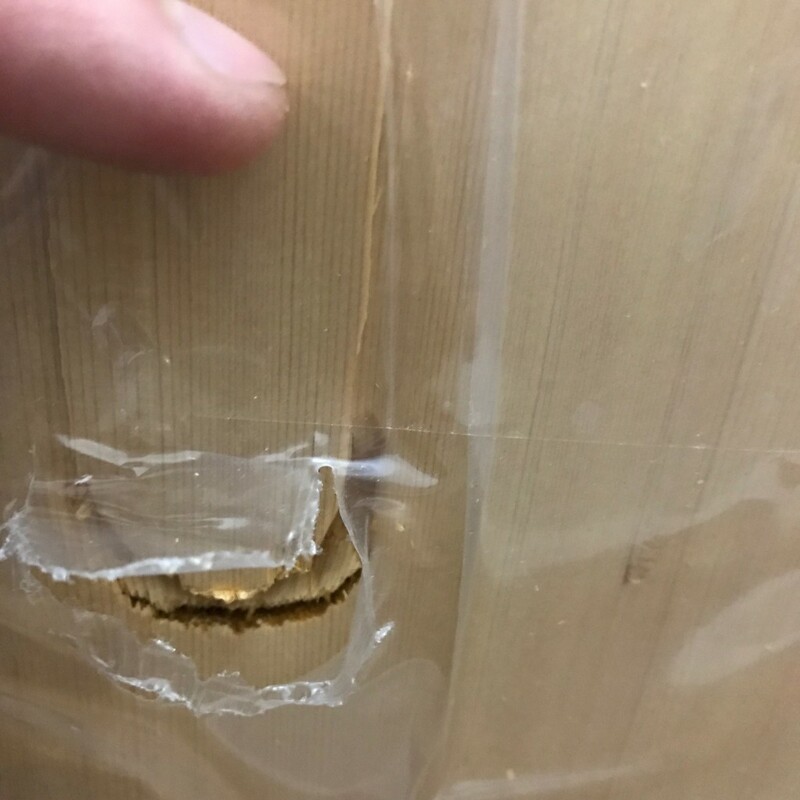 Yes, with this first shipping damage experience which brings the accident rate to 1:240 which is about the 0.4%. The client promptly reported the damage (it must be done within one week) and since it was a kadomaru type we could make a new one in a week time. The tub will be shipped as “replacement item – free of charge” so there are no taxes involved and if any customs inspection is required we will take care of the cost. But this story has a silver lining, actually 2! no doubt the box was mistreated. It was dropped probably more than once and was pierced by a steel pipe. Anyway we could learn the weak-points of the box and changed the packaging method. The new box is much sturdier and prevents the tub from moving inside. The packaging we will be using from now on is actually more expensive. 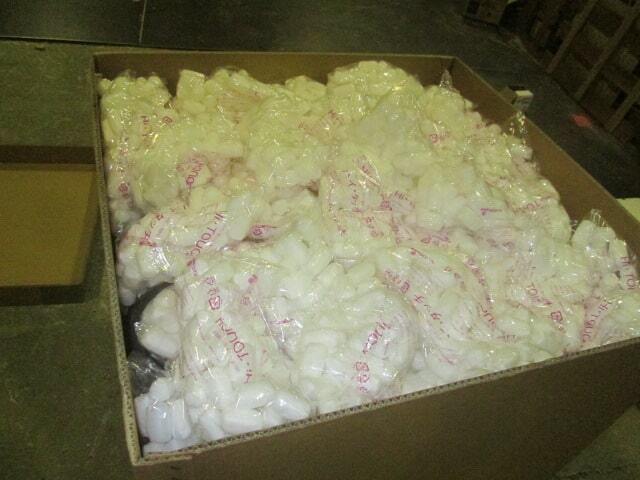 But actually we also find a new service from our forwarder which will enable us to lower the shipping cost. They will use flexibly DHL or UPS according to the space available and provide a better fare which compensates the additional cost of the reinforced box. Therefore we will be able to offer a safer transportation for the same price! Cardboard boxes are used only for Kadomaru tubs. 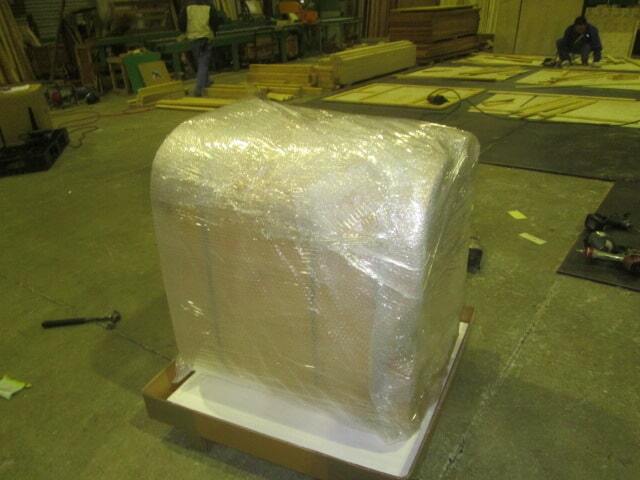 All custom tubs are shipped in a plywood completely closed crate.